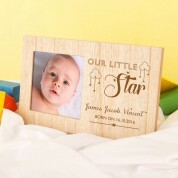 A unique gift with a special touch for any little star in your life! 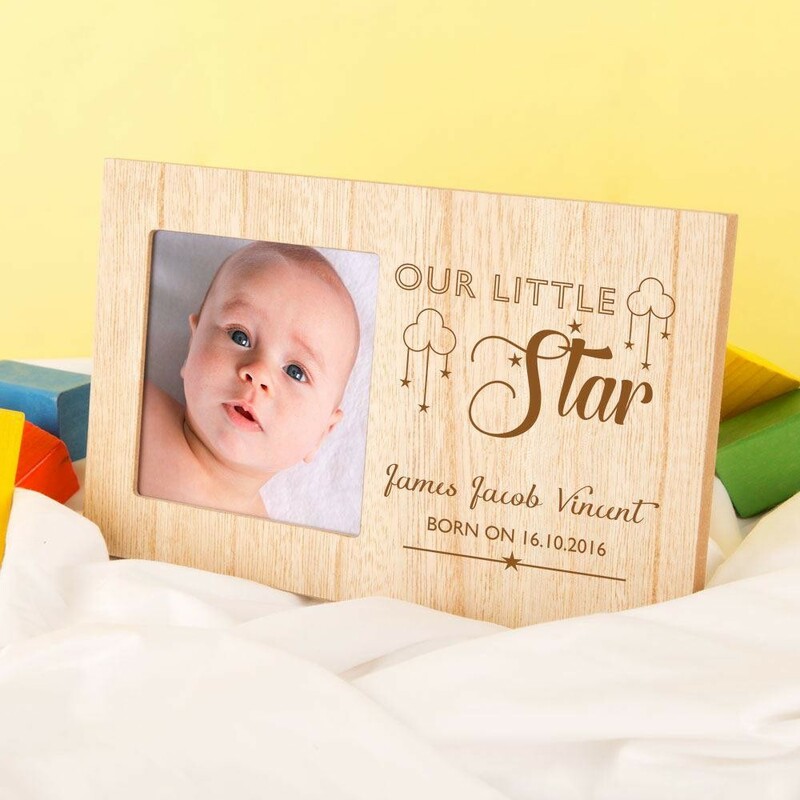 Whether you are buying for your child, Godchild, niece or nephew this custom designed and engraved wooden frame will turn heads wherever it is displayed! 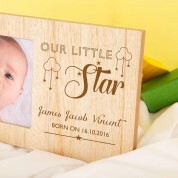 Our rustic wooden photo frame is laser engraved in house by our professionals. It reads “Our little star”. The scripted text is surrounded by clouds and hanging stars. The baby's full name follows. Because you can choose the occasion and date, it would suit any special event such as a Christening or Baptism. It would also make a lovely gift for a new born baby. The bespoke engraving and exclusive design makes this traditional frame truly unique to each child. We think the frame will look fabulous wherever it is displayed – it will suit the décor of any nursery. A keepsake with a personal touch and impressive finish. 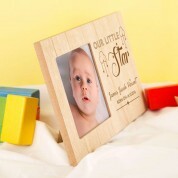 The frame features a small square photo window - perfect for an Instagram snap of your little one!